Check your garden for these big waste-wasting problems and save some for the plants! Water is one of the most precious resources we have, particularly in the gardening world. Do you have any idea how much you might be wasting? You don’t have to be in a drought-stricken area to recognize the importance of water and conservation. Even gardeners, who understand how vital water is to their hobby, can actually waste this resource more often than they realize. Here are a few things to look out for around your home and a few easy ways to make yourself more water-efficient. According to the Environmental Protection Agency’s (EPA) WaterSense program, an irrigation system that has a hole only about the size of a ballpoint pen or a leak that is the thickness of a dime can waste 6,300 gallons of water each month. So, check your hoses and hose connections each spring to make sure they were not damaged by freezing temperatures over the winter, and carefully examine the hose's connection to the spigot for dripping or spray. A brand new hose washer can often fix this problem if it's happening to you. Also, make sure your hoses stay neatly wrapped up when not in use so you don't run the risk of running over it with a mower or having a pet chew holes in it. 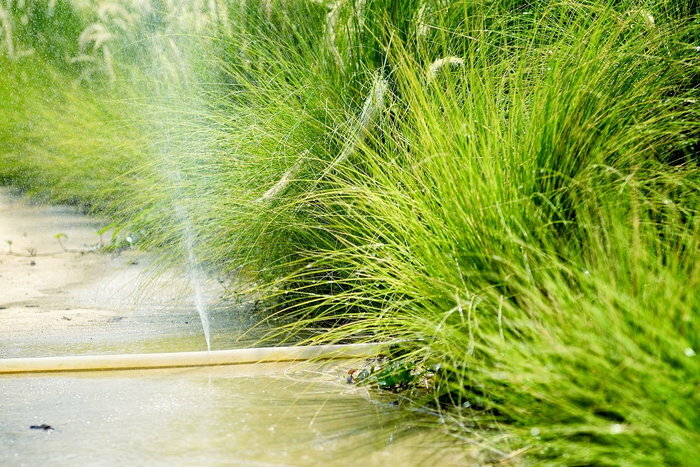 Overwatering not only wastes water, but it can also harm your garden. Drowning plants will suffer from root rot and will slowly suffocate from lack of oxygen being pulled in through their roots. 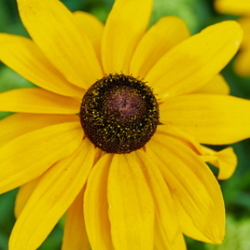 Water logged plants are also more susceptible to disease and bacteria. 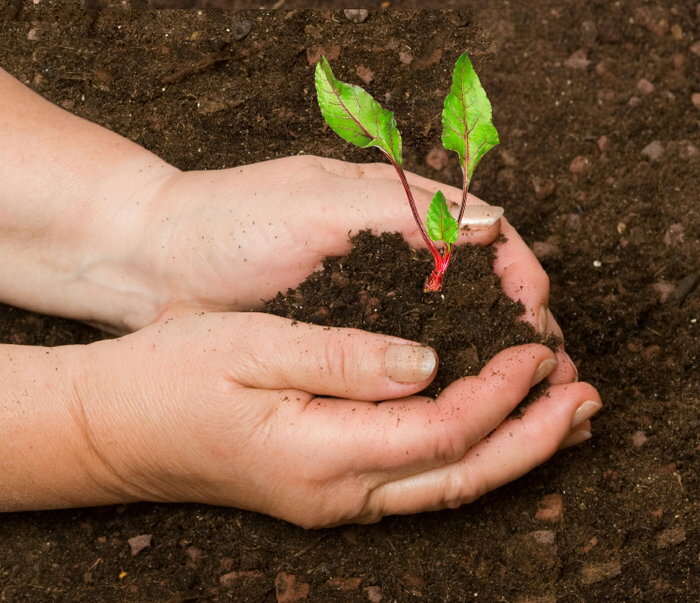 If you water manually, touch your soil beforehand to see whether it is still damp. 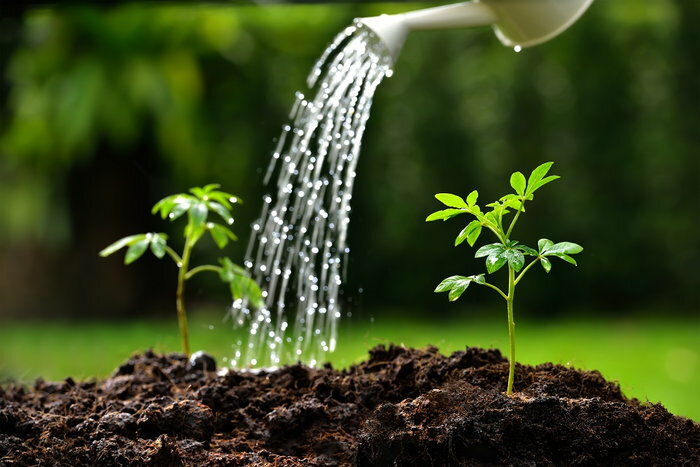 Most plants only need to be water when their soil is dry. Use a watering can to deliver the right amount of water to seedlings or young plants by gently sprinkling overhead to just dampen the soil. In the case of lawns, it is better to water deeply,soaking the root zone every few days rather than watering just the surface every few days. With an automatic system, make sure to use a timer to automatically turn your sprinkler or drip hoses off after the lawn or garden has been sufficiently doused. Arranging your plants according to their watering needs can help you more easily avoid overwatering. 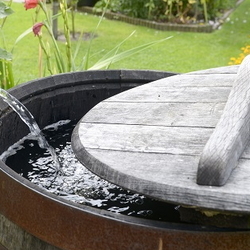 Find ways to harness valuable rainwater for your use. 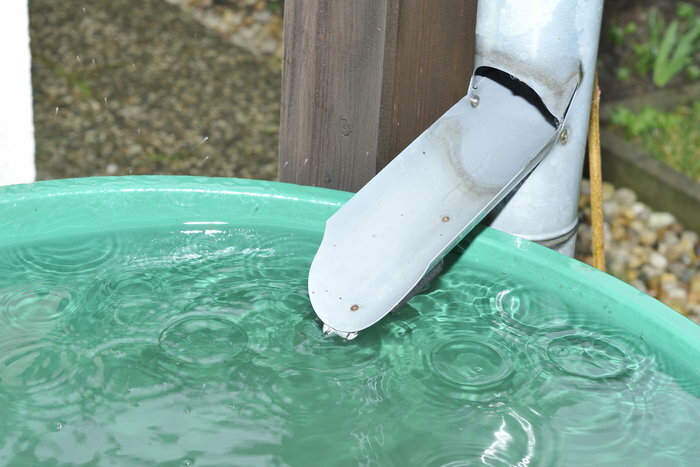 Connect rain barrels to the downspouts of your house, garage and shed, and then use the barrels’ spigots to attach a hose or to fill a watering can later. Are you pouring barely used or lightly used household water down the drain? Why? You can water your garden with recycled water from your family’s drinking glasses and from steaming or cooking vegetables and pasta. Or, you can try placing a bucket or two in your shower to collect the water that runs from the faucet while your water is heating up. Use it afterward to keep your garden healthy. You even can use fish tank water for your plants. Aquarium water typically is full of nitrogen and phosphorous, which can beneficial. You can actually save water by watering at the right time of day and by avoiding certain weather conditions. For example, avoid windy days when water can literally blow away instead of reaching your plants’ roots, and avoid evaporation by watering in the morning when temperatures are typically at their coolest. Morning watering also helps plants face the heat of the day. You can retain soil moisture, and thereby need less water for your garden, by using mulch. Try adding a two-inch covering of composted leaves or shredded pine bark over the top of the dirt to keep it from drying out too fast. An added benefit is that mulch helps cut down on weeds. Become familiar with your local soil and climate conditions, and then plant vegetables and flowers that will thrive in your location more easily. This way you can cut out additional watering as native plants will still do well with little to no extra attention. A great source for this information is your local university extension office. Did you know you can develop a compost system no matter the size of your garden? Adding compost to your garden soil not only adds valuable nutrients, but it also helps it retain water, just like mulching. 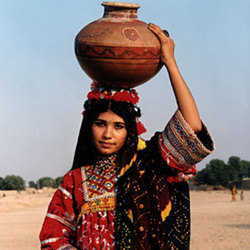 Although water covers about 70 percent of the Earth's surface, less than one percent is available for human consumption. The EPA estimates that each American adult uses about 100 gallons of water at home each day. The average American household spends up to $500 per year on their water and sewer bill and can save nearly $170 per year by installing water-efficient appliances and fixtures. And, if homeowners perform regular maintenance to reduce irrigation water waste, they can save nearly 8,800 gallons of water each year! That amount is equal to how much water is needed to take 500 showers! Reduce your impact on the environment by minimizing water waste around your home without compromising your garden.